At the H-Art of Plastic Surgery, we bring out your inner beauty. Many people would love to change a feature of their face or body that they are insecure about. It is our mission to make their dreams a reality. Dr. Kadesky is a true patient advocate, advising you about the procedures with the best long term safety and effectiveness. He is the first to steer patients away from procedures that carry more risk than benefit or have long term health concerns (like silicone breast implants). The team helps Dr. Kadesky create true works of art through what Dr. Kadesky calls the H-Art of Plastic Surgery. Dr. Kadesky and his team can put you on the path to feeling great about your face and body! Give us a call to schedule a consultation today and begin the path to a new you. With patient safety and comfort as our priority, we have designed our office to accommodate and facilitate the wide range of services that we provide. Our Operating Room is certified by the American Association for Accreditation of Ambulatory Surgery Facilities. Combining his love for art and medicine, Yale Kadesky decided to be a plastic surgeon at the age of ten. 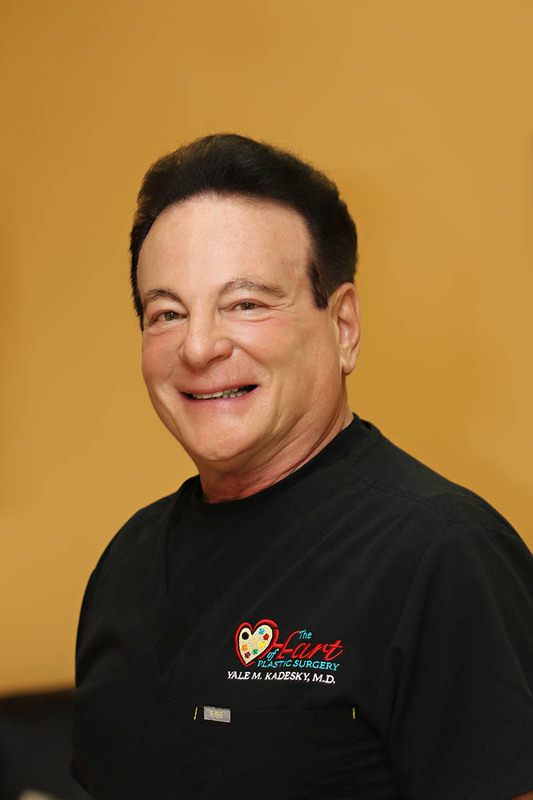 His path took him to the world famous Johns Hopkins Medical School, he then trained in general and plastic surgery in Pennsylvania and New York. He also did a fellowship at the University of California Regional Burn Center. A true healer, Dr. Kadesky saves lives and limbs in the Trauma Center and Emergency Department at Palomar Medical Center. “Although I love the artistry of my cosmetic practice, my heart won’t let me turn my back on patients with burns, flesh eating bacteria infections, ulcers from pressure and diabetes, and traumatic wounds”. After opening his Escondido practice in 1999, Dr. Kadesky reconstructed burn survivor Allyson Roach and co-founded the Ashleigh R. Roach Memorial Burn Foundation. Angela was born and raised right here in Escondido where her and her husband decided to remain and raise their two wonderful children. 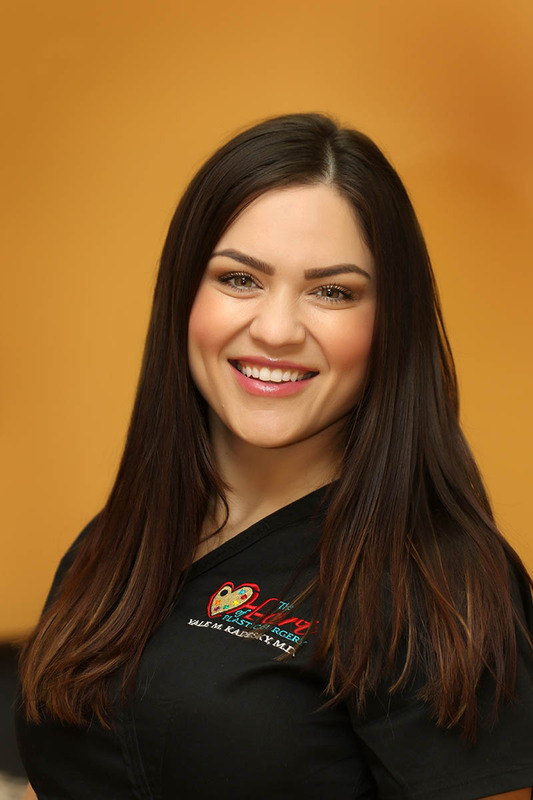 Angela has worked in the medical field since 2000 and has had the opportunity to work a variety of different areas such as Cardiology, Orthopedics, Internal Medicine, multiple different Pediatric Specialties and now Plastic and Cosmetic Surgery. She takes pride in getting to know each and every patient that comes through the door and making sure they feel at home right here in our office. When she’s not busy doing patient care with Dr. Kadesky or managing the office, she enjoys traveling, watching her kids play sports and spending time with friends and family. 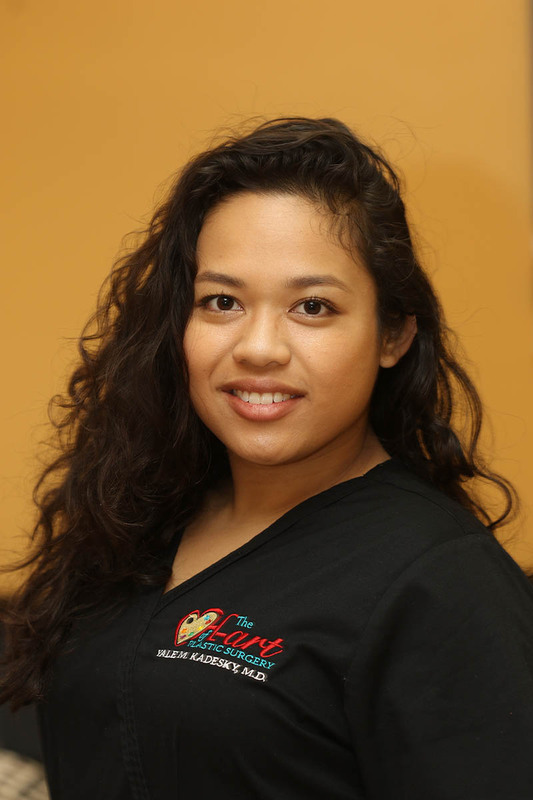 Deewie is a recent graduate of UC San Diego (Human Biology and Public Health with a minor is Visual Arts) who assists with both clinical care and administrative support at Dr. Kadesky’s Office. As a future physician and studio artist, Deewie admires the time and dedication Dr. Kadesky invests in his works of art — miraculous and transformative results with his beloved patients. Deewie is an enthusiastic and empathetic team member who enjoys getting to know and support patients. With over 600+ clinical volunteer hours in various specialities such as Emergency Medicine, Surgery, PACU, ICU, and Acute Rehabilitation Deewie has shown a strong commitment to compassionate patient care and healing. Proven nutrition gets you where you want to go. As your OPTAVIA Coach, I will make sure you never go it alone. More than a million people have chosen our program to help them increase their health, confidence, and vitality. Study after study shows that support and guidance increase your chances of success in reaching your optimal weight. That is why one of the biggest differences we offer is me, your own OPTAVIA Coach. I will be there to guide you and help you develop new habits and make healthy decisions that lead to lifelong transformation. We will celebrate your successes together, the little ones and the big ones. As your OPTAVIA Coach, I will be your main point of support and we’re part of the OPTAVIA Community, which is full of thousands of like-minded people that help and encourage each other. OPTAVIA gets your body healthy, as your body enters a gentle but efficient fat-burning state, which is essential for losing weight. OPTAVIA will help you achieve your healthy weight and what’s even more exciting is that you will soon see how this as a catalyst for bigger changes. You will discover how to incorporate simple, easy and powerful healthy habits into everything you do. Your best life is waiting – all you need to do is take the first step! 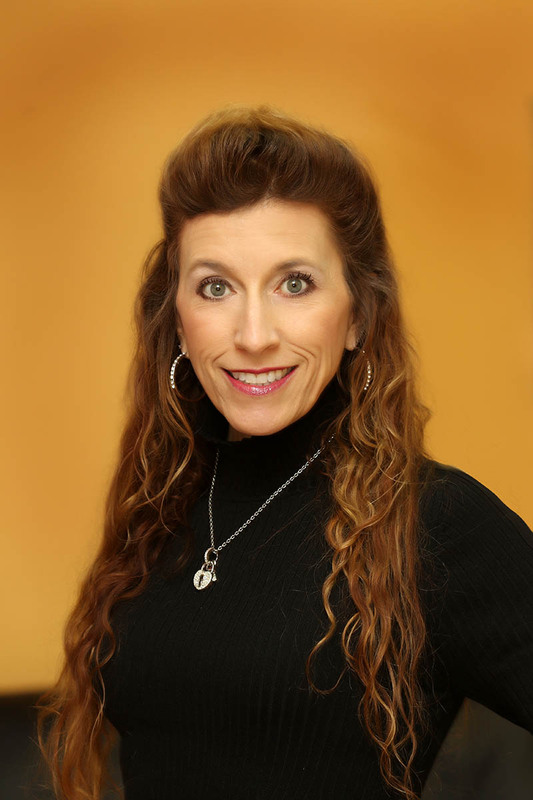 Lauren is a results driven Medical Aesthetician with successful experience since 2010. She possess a special talent for analyzing skin and creating a specialized treatment plan for each client for the best results, Effectively and affordable . As a skin care professional Lauren feels that educating her clients on their skin is one of the most important aspects of her career. Lauren has a passion for making people feel confident in their own skin even after their first treatment. She has a special personality to connect with each client and making them feel comfortable. With her honesty, passion, knowledge and talent, your confidence in your skin will be glowing inside and out! 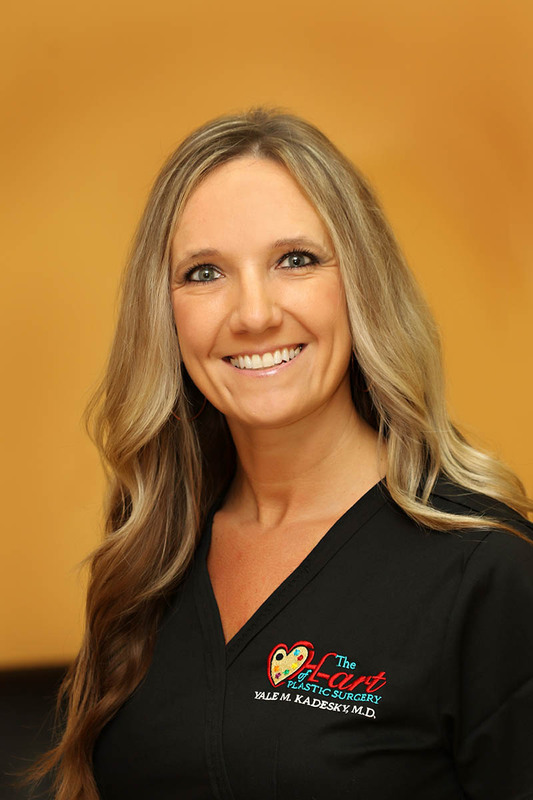 Dermaplane, chemical peels, hydrodermabrasion, Microneedling and waxing are some of her specialties.